﻿ What Is Medicare Part D Insurance? What Is Medicare Part D Insurance? Medicare part D insurance is drug coverage. There is an annual deductible, not all prescriptions are covered and, depending on the plan you choose, there may be co-payments. You may have to pay added premium for Part D coverage. You are expected to select a Part D plan when you first apply for Medicare. If you apply later, you may be assessed a late enrollment penalty for the time you did not have coverage. How Do You Obtain Medicare Part D Insurance? The coverage is obtained through an insurance company. The coverage may be included in a standard Medicare supplement plan purchased to pay out pocket medical expenses of traditional Medicare. 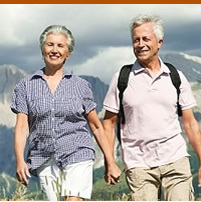 The coverage may be included with a Medicare Advantage Plan, sometimes referred to as an HMO. Insurance companies also offer stand-alone Medicare Part D coverage. It is best to carefully consider which plan is best for you. Speak with insurance agents or search on line for comparison charts. A comparison chart lists benefits and total costs of Medicare Part D insurance plans and the amount of deductibles and co-pays. The amounts differ from year to year. There is a deductible at the beginning of each calendar year. Currently it is a maximum of $320.00. Not all prescriptions are covered by all plans. There are co-pays for prescriptions. Your Medicare Part D Insurance covers your prescription costs until you reach $2,930.00 in expense, the “Donut Hole” you will pay your prescription costs until you reach $4,700. Beginning in 2012, while you are in the “Donut Hole”, the manufacturer pays 50% of the cost of name brand drugs and 14% of the cost of generic drugs and you pay the remaining 50% or 14%. Do not be hasty when choosing a plan. There are many plans available, and the choices may be confusing. Consider your needs, present and future and your budget.